The only hill station in Rajasthan, Mount Abu huddles among the rocks on a 1,220-m granite table mountain at the far southwestern end of the Aravalli hills. It is built around a lake and is surrounded by forested hills. According to a legend, the place derives its name from Arbuda, a serpent who descended to the spot to rescue Shiva’s bull, Nandi. 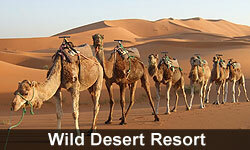 Besides having all the features of a pleasant hill resort. Mount Abu is also well known for the famous Dilwara temples and many more archaeological remains. There are interesting treks and picnic spots, romantic royal retreats of the various erstwhile families of bygone Rajputana and some relics of the Raj period. The scenic landscapes include gigantic blocks of rocks in weird shapes, an array of coniferous trees, flowering shrubs, lovely lakes and the cool climate much in contrast to the arid environs of the state. The museum was set up in 1962 within the premises of Raj Bhawan to preserve the archaeological wealth of the region. The Summer Festival is held every year in the month of Aashadh (June). The steep rocks, tranquil lakes, picturesque locations and the pleasant climate of Mount Abu make it an ideal location for the festival. Dedicated to Rama, this small temple (the cow’s mouth) is centred on a spring gushing from the mouth of a marble cow. In the Hindu creation myth, the world is formed by a cow, licking salt; the source of the Ganges has the same name. This is said to be the site of the ancient 'agnikund' fire rituals. It is 4 kms south of Mount Abu. Open, free access, down 700 very steep steps. Several points around the edge of the plateau offer spectacular views across the plains. The best are Honeymoon Point (Anadra Point) and Sunset Point, where hundred of people gather to watch the sunset every evening in a carnival atmosphere of pony rides and souvenir sellers. Baylay’s Walk is a pleasant 5 km route from Nakki Lake to Sunset Point. Honeymoon Point, 2.5 kms northwest on Ganesh Road; Sunset Point, 2 km southwest on Sunset Point Road. Open, free access. An impressive fort with some beautiful Jain temples enclosed within. 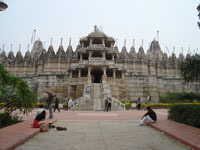 Among the noteworthy temples are Achaleswar Mahadev temple (1412 AD) and Kantinath Jain temple (1513 AD). The latter has a gold plated image. The fort was built in the 14th century AD by Rana Kumbha and is approachable by a motorable road. An impressive fort with some beautiful Jain temples enclosed within. Among the noteworthy temples are Achaleswar Mahadev temple (1412 AD) and Kantinath Jain temple (1513 AD). The latter has a gold plated image. The fort was built in the 14th century AD by Rana Kumbha and is approachable by a motorable road. An impressive fort with some beautiful Jain temples enclosed within. Among the noteworthy temples are Achaleswar Mahadev temple (1412 AD) and Kantinath Jain temple (1513 AD). The latter has a gold plated image. The fort was built in the 14th century AD by Rana Kumbha and is approachable by a motorable road. This ancient temple dedicated to the serpent goddess, Arbuda, is carved out of a huge rock.. Arbuda is the patron of the town, who formed the mountain in order to save the sacred cow, Nandi from drowning in an abyss. The black-painted marble idol, riding a solid gold tiger, is claimed to be about 5,000 years old. Open and free access during daylight hours. 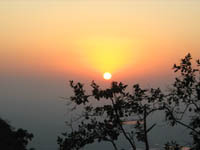 The highest peak on the Mount Abu (1722 mts above the sea level) allows a bird’s eye view of the idyllic surroundings of Mt. Abu. A small shaivite shrine and a temple of Dattatreya standing on the Shikhar are worth a visit. Named after the British engineer, who constructed it, Trevor’s tank is a delight for birdwatchers with densely wooded hills that are a haven to pigeons, peacocks and partridges. The nearest airport to Mount Abu is Maharana Pratap Udaipur Airport, Dabok (Udaipur) 207-km. One can hire a taxi to get to Mount Abu. The nearest railway station is Abu Road (29-km) situated on Mumbai-Ahmedabad-Ajmer-Jaipur-Delhi route. From Abu Road one can take a taxi, jeep or bus to Mount Abu. Ahmedabad is 222-km via Palanpur. Jodhpur is 235-km via Sirohi and Pali. Udaipur is 156-km via Pidwara. (Journey on this route is advisable only during the day). Jaipur is 509-km via Pali-Ajmer. It is connected to all the major towns in northern and western India. Unmetered taxis are available for local transportation within the city.